What was the Purpose of the Rock Carvings? 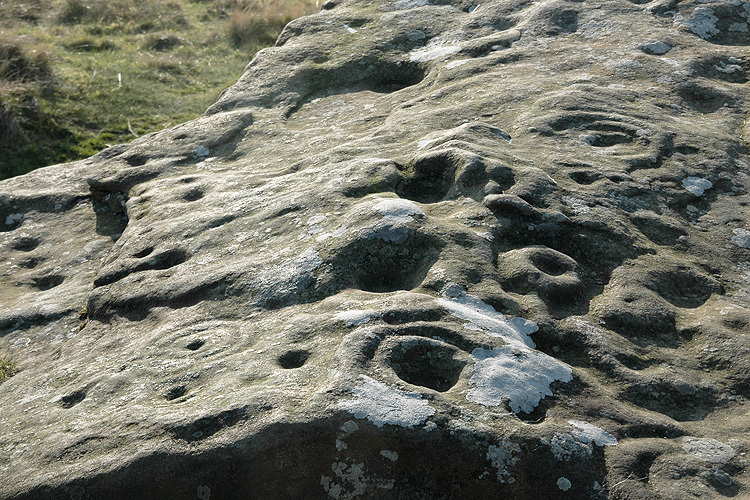 Rock art - ancient carvings 'pecked' onto natural stone surfaces - forms a hugely significant part of the heritage of the North East of England. The abstract motifs, often referred to as 'cup and ring marks', provide a tangible and iconic link to our prehistoric ancestors which extends beyond the basic activities of everyday survival, to hint at a much richer, creative, and potentially spiritual dimension to their lives. 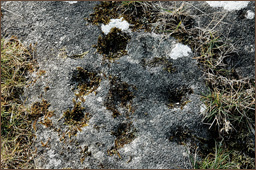 Mostly found in situ, on outcrops and large, earth-fast boulders, rock art also reflects the intimate relationship that Neolithic and Bronze Age people had with the natural landscapes they inhabited between 6000 and 3500 years ago. 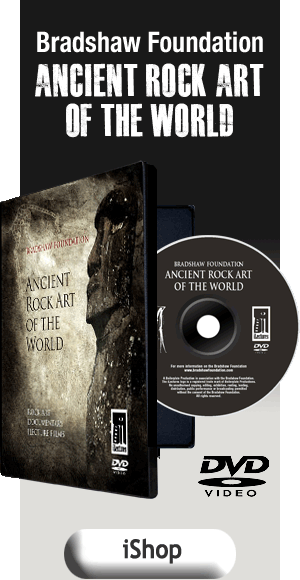 Rock art in the North East of England presents a concentration of approximately 1600 panels of various sizes and details representing a significant proportion of the known rock art panels recorded in the whole of England. The purpose or meaning of the cups and rings remains shrouded in mystery and continues to challenge archaeologists. Where are the Rock Art Carvings Located? 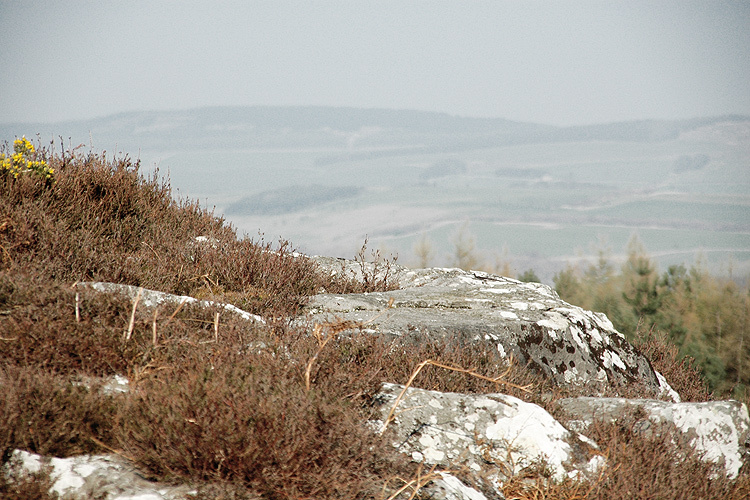 The rock art carvings are mostly found in the central and northern uplands of Northumberland. 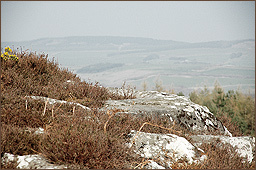 Many of the carved rock art panels are located on sandstone outcrops at prominent viewpoints over the surrounding landscapes of North East England. The rock art carvings which are located on outcrop rock and earth boulders, are mostly placed on gently sloping and horizontal surfaces. 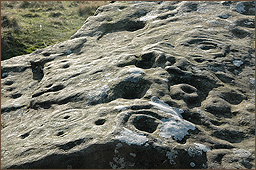 Northumberland rock art is abstract and mostly curvilinear. The carvers used a relatively small number of motifs to create designs that vary from the simple to the more complex, representing an artistic and symbolic tradition that lasted for millenia. 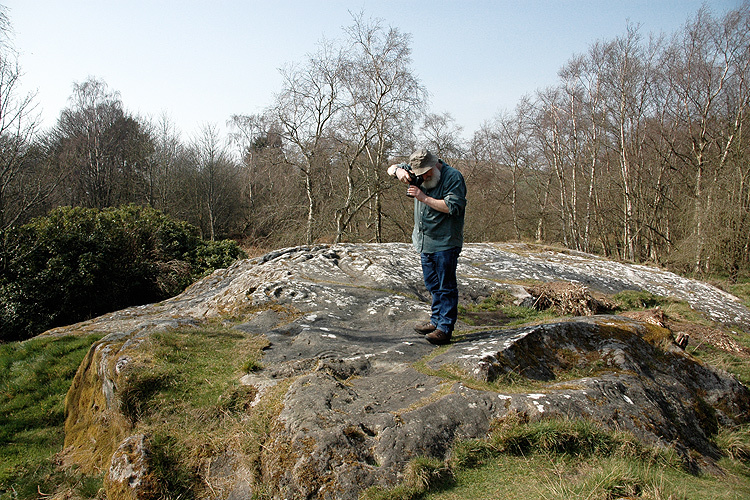 The principal element of Northumberland rock art is a cup - a circular, shallow, depression. These were carved either in isloation, or scattered, or in patterned groups which sometimes included grooves - grooved rings. Gapped circles - arcs and penannulars - were also carved. Grooves in the sandstone, sometimes originally natural but then enhanced with grinding, often link the panels, possibly to allow the flow of water. 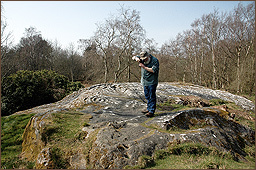 Absolute dating of Northumberland rock art through scientific techniques, such as radiocarbon dating, is not possible. 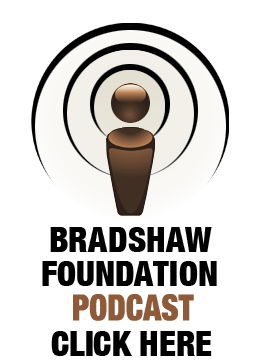 This means that the dating has to be done through associations made with archaeological material. 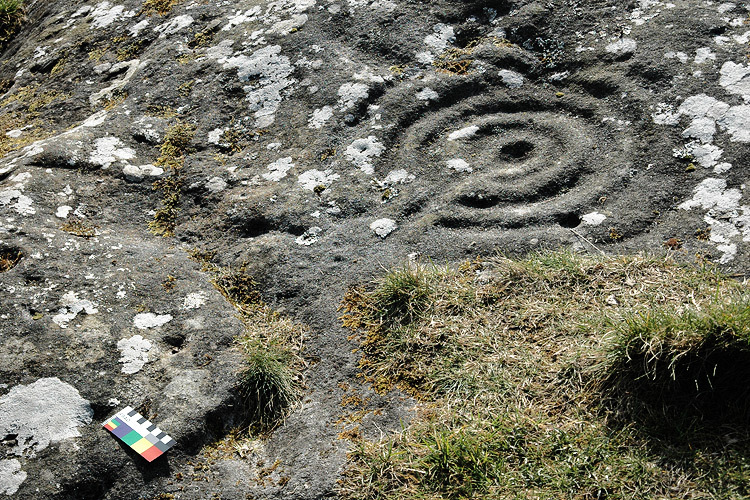 It was once thought that the rock art of Northumberland was made during the Early Bronze Age, which dates to between 4000 and 3500 years ago. 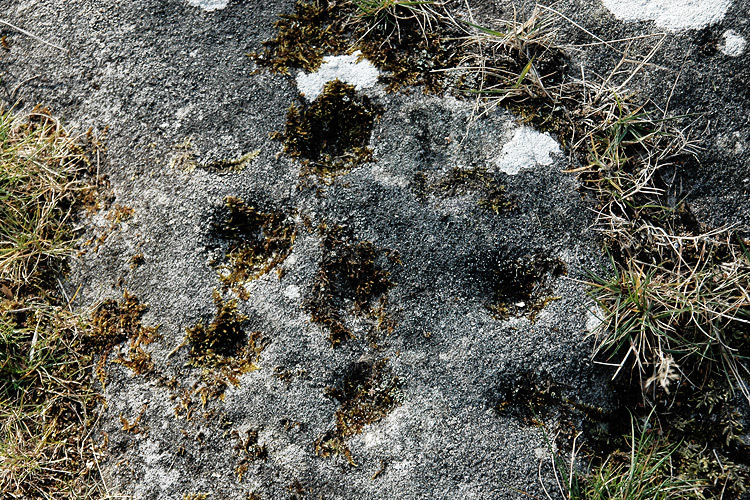 This perception was built up because of the discovery, in Northumberland (and elsewhere in the UK), during the nineteenth century of carved slabs in or near graves belonging to the Early Bronze Age. However, some of the carvings from Early Bronze Age cairns showed signs of erosion, suggesting that they had already been exposed for many years before being incorporated into burials. Researchers now believe the original phase of carvings on outcrops and boulders was made sometime in the early Neolithic - 6,000 to 5,200 years ago. This continued into the late Neolithic - 5,200 to 4,000 years ago. In the Early Bronze Age - 4,000 to 3,500 years ago - the carving tradition was associated with cairns and funerary monuments. Nearly all of the carvings were made on sandstone. 'The size of the 'picking' or 'pecking' shows that a variety of tools was used, some with a fine nail-like point and others with a broad chisel, with other varieties in between.' Beckensall (2001). This would require a harder rock, such as whinstone or andesite, either held in the hand or hit with a mallet. Although it is possible to use a sharp pointed piece of andesite held in the hand, it is more likely that a mallet was used to impact the tool against the rock. So far no definite tool has been found; the nearest we have come to it is at a recent Dod Law excavation, where the pick was found close to peck marks on rocks subsequently covered over by building in the Iron Age' (Beckensall 2001:13). Initial ideas were that the carvings were an 'outward and visible sign or symbol of something related to the spiritual future of their departed.' In the 1990s, Richard Bradley proposed that there was a relationship between the complexity of carved designs and their position in the landscape - the more complex on higher ground; higher ground would not have supported year-round prehistoric occupation. Therefore, they may have played a role in the organisation of the landscape - paths and boundaries on the the margins of landscapes. This may have related to a changing relationship with the land and the natural world (Waddington 1998) - in the Early Neolithic, from being hunter-gatherers to pastoralists. He proposed that the carvings, which were inspired by patterns occurring in nature, acted to disguise the degree of cultural control that people were beginning to exert over the natural world. During the Early Bronze Age, as the emphasis of the art changed, Waddington believed the carvings represented the demise of the ancient symbolic system and a greater demonstration of the control over the landscape.